Today is the day. 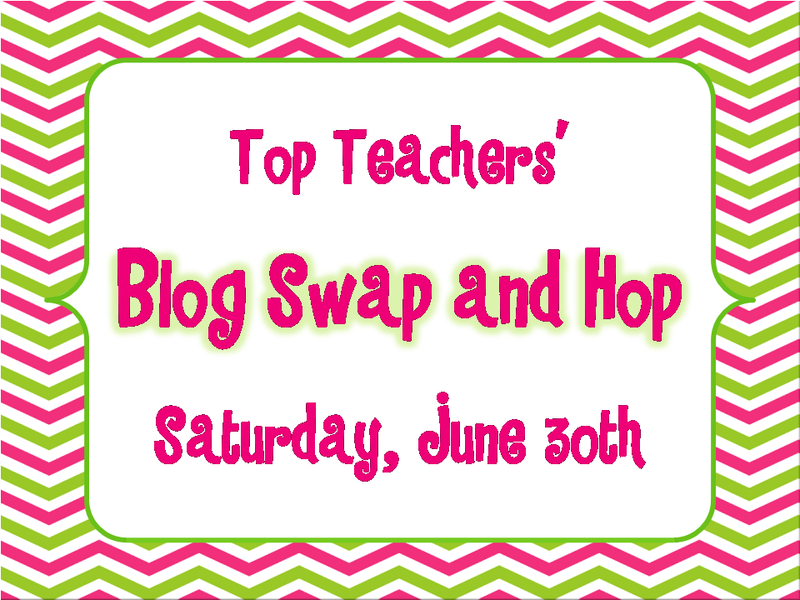 Blog Swap and Hop day! I know you all will love this fabulous post by Nicole. I’m posting over at Ms. Preppy’s Blog. After you check out these test prep strategies, hop on over and check out my post about organization. 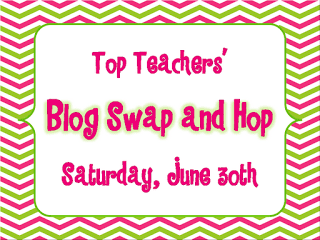 Then, hop through the rest of the guest posts! The links are on the bottom! New Mexico Chant Bank – songs to support Guided Language Acquisition Design style teaching, but good and useful for everyone, not just ELLs! 2. Summarizing. The main comprehension strategy that my grade level focused on for this year was summarizing. If students can correctly summarize, they can tell you the main idea and details, they can pin point the most important event, they can sequence events in correct order, and they can give you a retell with other story elements like character and setting. By focusing on summarizing, and summarizing well, students were better able to analyze the stories and articles read and answer questions about them. Example of students finding character traits in an article after it was summarized as a whole group. 3. Computer games. In order to learn how to take a test on the computer, kids have to practice on the computer! Study Island – A paid program, but it correlates to state standards and to Common Core standards. Kids take a pre-test in either math or reading, then they play educational games and answer multiple choice questions to earn “blue ribbons” in each category. It is motivating, fun, and helps them get ready for the computerized format. Xtra Math – This one is a free test prep program. I didn’t use it too much in the classroom, but I did put it on my newsletters as options for kids to do at home. Kids’ Place and Edu Place Test Prep Practice – these are by Houghton Mifflin (our reading adoption) and you can choose your grade and the standard in order to find practice tests and other activities. Time For Kids – I got a subscription through Donorschoose.org that was a tremenous help to my teaching. They have online quizes and extra activities and articles to use for lessons. It’s great! DOGO News – a great resource for free online articles written for kids. Comprehension Toolkit – My school was able to purchase one 3-6 kit for my grade level to share. It was an invaluable resource for teaching with nonfiction. At $132, it is an investment, but the lessons really are fabulous. 5. Vocabulary. A group of teachers at my school read Marzano’s Building Academic Vocabulary last summer. In this book, Dr. Marzano says that children in poverty need explicit instruction in vocabulary. I found that math vocabulary is the toughest to teach, especially to my ELLs and students who live in poverty. These words are usually highly technical and require specific background knowledge. In my classroom, I print about 40 vocabulary sheets and bind them into a math journal. The students keep them all year and we add to it, depending on what we are learning in math. The words might be geometry, measurement, or even basic operation related. Here is an exclusive freebie for you! I hope you are able to use this in your classroom, as well. Thank you so much, Tessa, for hosting me! How else do you help students prepare for assessments? Thank you so much for sharing such helpful information!! I am familiar with almost all of the sites you mentioned, but I will def. have to take a peek at the practice test ones. My son's school uses Study Island and he really enjoys using it. I have several of Dr. Marzona's books, but I have not read the one you have listed. I thought I did at first, but I actually have the advanced vocabulary edition. The kids at my school really enjoy Study Island, too! I hope your son gets some good practice from those Houghton Mifflin sites! The day is finally here! I am having so much fun hoppin to everyone's blog! Thank you for setting this up! You're welcome! I'm glad people are enjoying it! Great test prep ideas! So much to cover to get them ready for that all important "test"!! Great stuff Nicole. We start testing in 3rd grade in Michigan too. I love that you don't stop using music in 3rd grade just because they aren't officially 'early elementary' anymore. If a child show musical intelligence, it doesn't change just because they hit third grade. Good for you! You have a great blog! I'm so glad I found it. I'm nominating you for The Versatile Blogger Award. You can drop by my blog to pick it up. Thanks for the Math sheet. I'm going to use it with their Math Journals. Great! So glad you can use it! I'm from New Mexico and had no idea about the chant database! What a great resource–thank you!